Welcome to our CE (Continuing Education) page. Below is our schedule of upcoming classes for the current term. If you would like a hard copy of this schedule that will also include class descriptions, please click the “request info” button, fill out the form, and we will mail you the information. If you’d like to ask questions about any class, give us a call at 775-884-1145. To Enroll, please call 775-884-1145. Payments may be taken prior to the class, but feel free to pay the morning of your class. We accept cash, checks, and most credit cards (Visa, Mastercard, Discover). See you soon! The Bodhi Tree Center for Healing Arts is approved by the Nevada Board of Massage Therapists for CE’s, the National Certification Board for Therapeutic Massage and Bodywork (NCBTMB) for CE’s for Board Certified individuals which applies to specific classes. See below. Looking for CE’s for other states or certifications? Please call or email to ask about your particular certification or CE need. We have one of the most comprehensive, enjoyable, and affordable continuing education programs around. In 5 years we achieved highest ratings (5 out of 5) an amazing 95% of the time! The Bodhi Tree Center for Healing Arts is approved by the National Certification Board for Therapeutic Massage and Bodywork (NCBTMB) for CE’S for Board Certified individuals (BCTMB credential). Board Certification is an advanced certification. Not all courses are Board Certification approved for CE’s. The NCBTMB recently chose to exclude all Energy-based classes. If Board Certified, please ask upon calling to enroll whether your course is approved for that certification. Looking for CE’s for other states or certifications? Please call or email to ask about your particular certification or CE need. CLASS TIME IS 9AM TO 4PM WITH A 75 MINUTE LUNCH AND 2 FIFTEEN MINUTE BREAKS. PLEASE BRING A SET OF SHEETS FOR A MASSAGE TABLE, OIL OR LOTION AS NEEDED FOR MASSAGE, AND NOTE TAKING MATERIALS. $75 for a 6-Hour class or $150 for a 12-Hour class! You may register by phone or by sending a check with a request for the class you wish to attend. AROMATHERAPY & ESSENTIAL OILS – May 23rd & 30th, June 6th & 13th, 2019 (24 Hours) (REQUIRED LAB FEE FOR ESSENTIAL OIL KIT OF 18 OILS AND CONTAINERS) SEE SEPARATE INFO ON RIGHT! Refund Policy: (As required by Nevada Law) If a student cancels his enrollment before the first scheduled day of class, he will receive a refund of all monies paid, less a $100.00 Withdrawal Fee or 10% of the tuition agreed upon in the enrollment agreement, whichever is less. If a student cancels his or her enrollment after attending their first class (“attendance” is defined as being marked by the instructor as present for that class), a refund will be granted. The refund will amount to the tuition agreed upon in the enrollment agreement, (adjusted on a pro-rated basis) minus 10 percent or $100, whichever amount is less. The pro-rated refund will be based on the percentage of the course completed compared to the total tuition amount. A student who cancels enrollment or is expelled after completion of 60% of the program will be ineligible to receive any refund and will be charged the full amount of the tuition. (Only 1 seat left!) May 23rd, 30th & August 6th & 13th, 2019. This extraordinary Aromatherapy class brings 18 extraordinary oils and containers for an unparelled class that emphasizes safety and exceptional quality. All oils are Genuine and Authentic (highest quality standard in the world, far above the standards of “pure” and “therapeutic grade” which most essentail oils use today).This class is completely independent and free of all Multi-Level Marketing company oils which only offer inferior grade oils with little education on safety. The instructor, John M. Thorpe, RCST®, BCST, BCTMB, LMT, FSL, brings 20 years of on-going experience and education in Aromatherapy to this class. So for the best independent starting course on aromatherapy, here it is! The following class list is a sample of what we offer and not meant as a comprehensive class list. Classes are being added regularly. Please click the Request Info button for our most current comprehensive class list with descriptions, schedule, and cost. Fascial Freedom Therapy is an integrative approach to superficial and deep fascia and the connective tissue structures of the body, including joints. Created by John Thorpe, this unique and highly effective style of fascial therapy has a wide range of applications for many kinds of dysfunctions. Learn sports massage techniques including pre, inter, and post event massage, as well as injury rehabilitation. This class covers basic pulse assessment, Source (Yuan) and Connecting (luo) point treatments, back pain and central channel balancing. Techniques such as Strain/Counterstrain and others, which allow the gentle release of muscular and soft tissue structures through shortening, are explored in specific trouble areas of the body. The techniques and uses of chair massage in the workplace, for special populations (elderly, etc.). How chair massage can complement your practice and increase your ability to market your massage practice to clients. Accelerated Soft Tissue Release (ASTR) uses Active Isolated Stretching and Passive Isolated Stretching with pressure applications. ASTR is valuable as a general use technique, a technique specific to injury recovery and great for athletes. A hands-on class exploring the varied techniques and theories used in Biodynamic Craniosacral Therapy. This style has a depth and profound nature that can be used to support the health in any dysfunction, and can be tranformative for dysfunctions related to spine and cranium. Students should bring massage table sheets and 2 extra pillows for bolstering. CST is not a massage technique. The holds are very soft, used with an extended duration, and there is no orientation to soft tissue and musculature. A unique style of massage developed by John Thorpe, Rejuvenation Massage combines circular, deeply sedating patterns and mindfulness practices with a high volume of touch that softens and accelerates healing in muscle and connective tissues, while facilitating deep rest and recovery. The course includes self-lymphatic techniques and working with the lymphatic system as a whole body treatment. Lymphatic Massage combines well as a form of Medical Massage as it has very strong effects upon the immune system. Can be used as an immune system “booster” for flu season or other pathologies. Day 3 includes specific treatments for various conditions, including prevention techniques for breast cancer. Request a CEU schedule by using the Request Info button, or contact us by phone at 775-884-1145, and we’ll be happy to help you find the right class for your Continuing Education needs. Call for more information or use the button below to request information. Looking to mix Work & Pleasure? 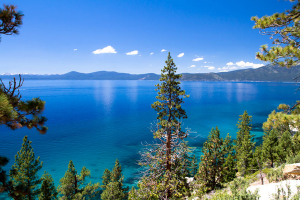 Carson City is a short drive to Lake Tahoe, one of the premier vacation destinations in the world! 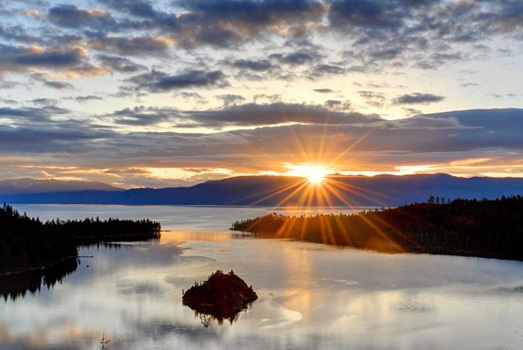 For winter sports or summer fun, Lake Tahoe has it all. With our school being a short drive from Tahoe, you can combine your fun with a CEU class.